This week we share ten times in history we love to read about. For all our Historical Fiction reviews here on Tea in the Treetops, you can use our Historical tag. Have we missed any? Please let us know! Of course, any historical list would not be complete without our old favourite, Pride and Prejudice. There’s something about the parties and balls, the ladies in their bonnets and the gentlemen in their top hats, the scandal and the awkwardness of romance at that time! There are now plenty of other stories set around the time of Jane Austen’s tales, and I’m not just talking about Pride and Prejudice and Zombies. The recently released Lady Helen and the Dark Days Club features demon hunting in the early 1800s, and Garth Nix’s Newt’s Emerald adds magical realism to the mix. If you like time travel stories you might also like to check out The River of No Return, set in both Regency times and the present day. Philippa and I loved reading Masquerade in 2014, but so far I haven’t seen any other books set in Venice in the mid-1700s! Can you recommend any? The Carnivale sounded like a lot of fun! Kate Forsyth’s Bitter Greens tells several different stories, the main story being a retelling of Rapunzel. The meta-story outside of it is a tale of scandal in the court of the Sun King, Louis XIV of France. It sounds like a fascinating time! It’s not the most enjoyable time to read about, but the early 20th century makes an amazing setting for some heartbreaking stories. Among those I’ve read in the last few years include All the Light We Cannot See, set in France. The Beast’s Garden is a retelling of Beauty and the Beast, set in Germany in the Second World War. A favourite of mine is Louis de Bernières’ Captain Corelli’s Mandolin, set amid the Italian occupation of the Greek Island of Kefalonia. The dark ages in Britain were a wild time, where forests covered the lands and separate tribes ruled their territories. During last year I read Skin, a story of a young girl learning of the magic of her ancestors. It reminded me of another ancient British series I read a while ago, Manda Scott’s Boudica series, a much more gritty story but amazingly told. The “golden age of the 1920s”, as told in The Great Gatsby and others such as Brideshead Revisited, or on the other side of fortune in A Moveable Feast. Philippa has been trying to get me to read Sara Douglass’ Troy Game series for a while now, and while it is based on mythology, that still counts, right? We also recently read Legacy of Kings, based around the life of Alexander the Great. I loved reading the books of Caiseal Mor such as The Circle and the Cross about Druids, Harpers and the threatening Romans. More recently, Juliet Marillier’s Sevenwaters trilogy involves ancient Celtic mythology. I find books with an ancient Asian influence fascinating, whether fantasy with Asian inspiration or actual historical fact. Unfortunately Richelle Mead’s Soundless contained barely enough Chinese culture to be classified as an influence, but there are plenty more to try. Dragonkeeper by Carole Wilkinson is also fantasy, but the Chinese setting felt a lot more realistic to me. The Walled City is based on a real place in Hong Kong, and I’m told that Eon and Eona by Alison Goodman are very good. Unfortunately I haven’t read any of the actual Asian historical classics such as Memories of a Geisha! I’m really looking forward to Lady Helen and the Dark Days Club as I quite enjoyed Eon and Eona. 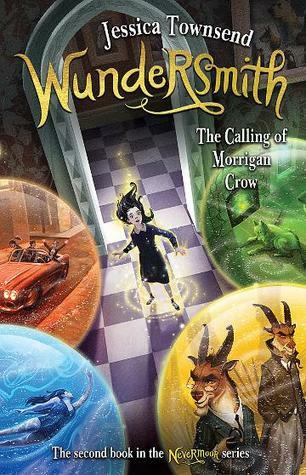 For Venice… Dave Duncan has a fantasy series set there, first book is The Alchemist’s Apprentice, and the 4th book in Mary Robinette Kowal’s glamour series is also set there. I’m also really loving Simone St. James paranormal mysteries, which are set between the World Wars. And since you mentioned the 1980s… my novel Violet Eyes is set in a Historical Immersion there. Great list! Regency England is such a fun period to set a novel in, especially romances. And agreed about the world wars, some of the most amazing novels I read were set in that period. Great selection! I love WWII. THE BEAST’S GARDEN has a gorgeous cover. It sounds interesting concept. I’m adding that to my list to check out. SOUNDLESS is in my TBR pile. I like the 1980s too, especially since I grew up during that time. I love WWII fiction, some of my favourite books are based during that time period!